READING’S annual celebration of the town’s waterways returns with a packed programme of activities on Saturday 10 June. Parades of beautifully decorated canal boats, live music, children’s entertainment and craft and community stalls will be on offer at Water Fest, organised by Reading Borough Council and the Kennet and Avon Canal Trust. The 28th Water Fest will take place in the heart of the town between 11am and 5pm. Visitors will be able to take a look at a huge selection of colourful boats moored along the Kennet and Avon canal and watch them parade throughout the day. There will also be a prize for the best dressed boat. Chestnut Walk will host stalls offering a range of hand crafted items such as jewellery, prints, jams and toys while Riverside Walk will be lined with stands run by local charity and community groups. Forbury Gardens will be offering a mix of traditional and contemporary music and dance with highlights including. The Barbarettes, Shinfield Shambles, Aldbrickham Clog & Step Dancers, Readiophonics, Acoustic Beatles, Edd Keene, Dolly and the Clothes Pegs, and La Mort Subite. There will also be lots of children’s activities and entertainment on offer in the Gardens. At Bel & The Dragon, look out for ‘Reading Abbey’s Hidden Waterways’, a new Photographic Exhibition, put together by local photographer and historian Chris Forsey. Chris will also be offering two circular History Walks during the event. Bel & The Dragon will be hosting the Steve Morano Band throughout the day. “Water Fest is a much-loved family day out and has been a solid fixture of Reading’s summer for the last 28 years. 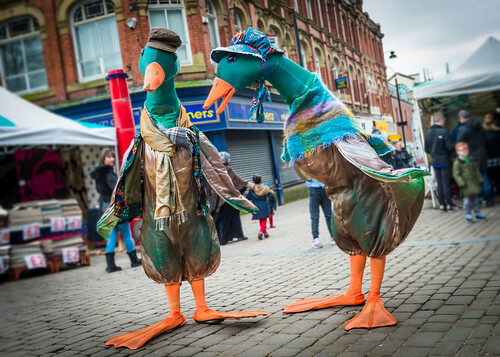 I am excited to see the jam-packed programme for this year’s events is bigger than ever – there is so much to see and to do across this beautiful part of the town for all ages. Visit www.reading.gov.uk/waterfest for full detail or pick up a leaflet at the Civic Offices, libraries or leisure centres throughout the borough. The Kennet and Avon Canal links the Thames at Reading with the sea at Bristol, 87 miles away. Originally built to carry freight, the canal declined in the face of competition from railways and roads. By the 1960s many of the locks were unusable and the waterway was being overgrown by weeds. Closure seemed probable but, thanks to voluntary fundraising and physical effort by the Kennet and Avon Canal Trust and their supporters, the canal was gradually restored. In 1990 through navigation was again possible along the whole canal and Her Majesty the Queen performed a reopening ceremony at Devizes where 29 locks take the waterway down a steep hill. The Kennet and Avon Canal is now part of the national inland waterway system. The Kennet and Avon Canal Trust continues to campaign to maintain and improve the canal for quiet recreation by all kinds of visitors, whether on land or in boats, and to ensure a secure future for this wonderful waterway. The towpath is perfect for short strolls and longer walks and much of it is also part of National Cycle route 4. The Kennet and Avon Canal Trust also operates 4 trip boats on the canal, has visitor centres at Aldermaston and Newbury (plus 2 more further west) and runs the historic steam powered beam engines at Crofton, near Bedwyn, which can still pump water into the canal. Please visit the Kennet and Avon Canal Trust stand at Reading Water Fest and/or our website www.katrust.org.uk for more details of ways to enjoy the Kennet and Avon Canal – Reading’s wonderful local waterway.